The die is indeed cast and the stakes are high checking how far we have come from the July Edition till now it’s no doubt a sure success. This is un-arguably the “Most Anticipated & Most Downloaded Online Mixtape ” in Nigeria right now with Much Downloads so far still counting.. So without any further ado we present to you the much awaited Auguest Edition of the Monthly Naijapopup Industry Mix-tape Hosted by one of the Baddest streets DJ’s ever “DJ James” doing justice to Best of the Naija hits making waves. This is obviously something that will beat your imagination, with the Sensational Indigenous rapper CDQ lending his vocals in the introduction, I suggest you get your dancing shoes on and put yourself in the party mood, because we about to Get the party started back to back of your favorite tunes strictly street a certification of 100% Pure Entertainment! 37. Dj James ft iqiew, Focux & Rapkid9ja – Dance Floor. 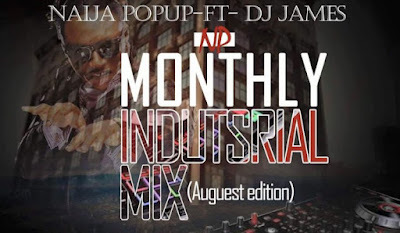 0 Response to "MIXTAPE: Naijapopup Ft. DJ James – NP Monthly Mix (Auguest Edition)"